Goumimitts are smart, stay-on mittens for infants and babies that safely support your baby in exploring, learning, growing, and wriggling. 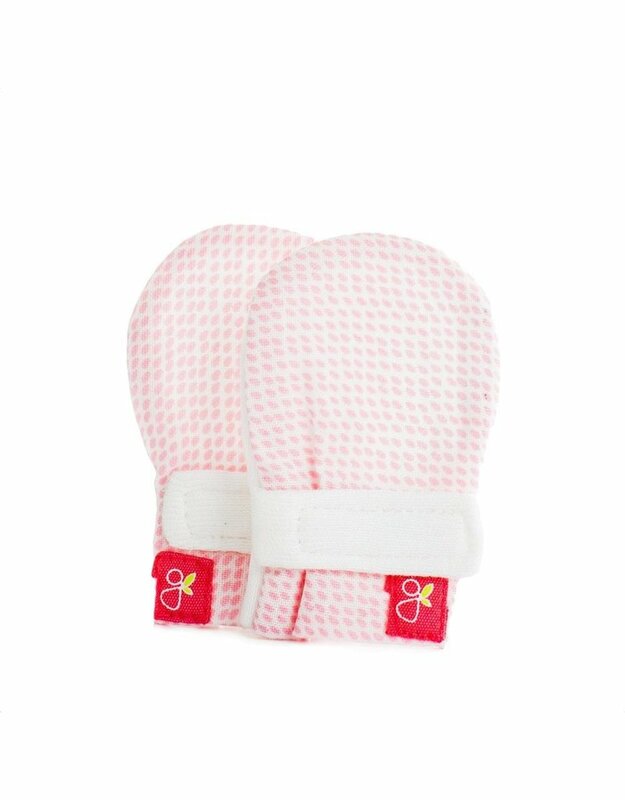 Our innovative, stay-on baby mittens give babies comfortable scratch and germ protection. It presents parents with a natural, non-toxic and worry-free product that brings benefits far beyond your family. Our scratch-free baby mittens were designed to stay put with our signature two-part closure system that remains secure and allows for adjustable fit as your baby grows. Made of a sustainable, machine-washable blend of 70% bamboo-derived viscose and 30% organic cotton blend, Goumimitts are gentle on baby's skin and kind to our planet. This breathable material is naturally antimicrobial and environmentally sustainable that keeps you cool in the summer yet warm in the winter. Our mitts come pre-washed but when it's time to wash we recommend machine-wash delicate with cold or warm water and hang dry. Goumimitts are available in a wide range of colors and prints that coordinated across all our products. Our motto is simple: smart product, smart parents, smart baby. By creating smart products that are thoughtfully designed and sustainable, we shift away from the buy-just-to-sell cycle, and move instead to an integrated brand that makes good. Goumikids is passionate about improving the lives of those around us - locally & globally, which is why 10% of all proceeds, and 100% of proceeds from our goumigiving print go directly to support efforts that protect our children and invest in improving the lives of girls globally. 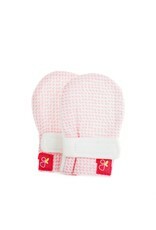 SCRATCH FREE & ANTIMICROBIAL: Goumimitts are designed to prevent harmful scratches and germs. Our innovative material is tough but soft to gently protect your child from scratches. It’s also naturally germ resistant, so your child stays healthy. DESIGNED TO STAY ON: No matter how much your little one wiggles, our mittens will stay put. 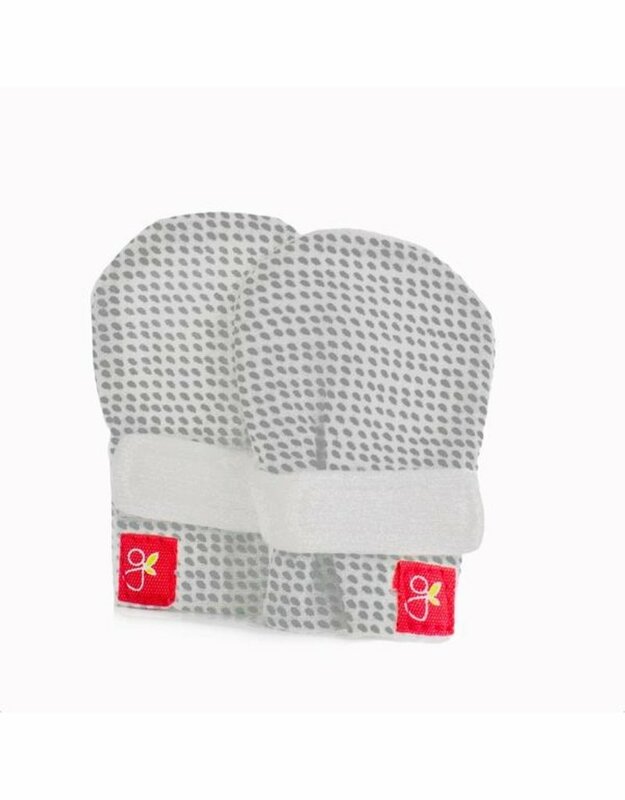 We use a signature two-part closure system that ensures your child can’t remove their mitts. 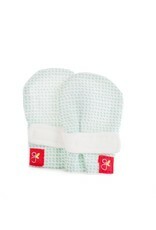 ORGANIC, SOFT, AND NATURAL: Our machine washable mittens are 70% bamboo-derived viscose and 30% organic cotton. We use only the best and most innovative materials to guarantee your child stays happy and healthy. 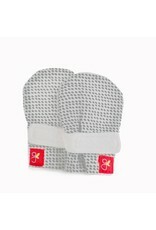 ADJUSTABLE FIT FOR STAGES OF GROWTH: Our mittens are adjustable through up to 3 months of growth. You have enough to worry about. With Goumimitts, new mittens won’t be a problem. SUPPORTS BABY BRAIN DEVELOPMENT: According to the latest research in child development, your baby’s eyes aren’t mature enough to properly process color. Our high contrast patterns are simple enough for your baby to see, process, and be intrigued.